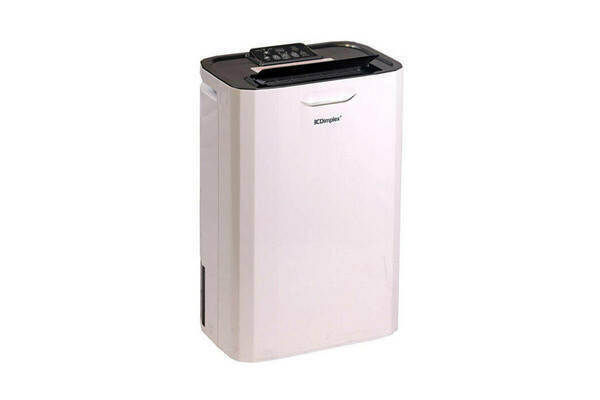 Dehumidifiers: do you need one? Dampness is a problem in many rentals. A survey by Statistics NZ found almost half of renters battled excess moisture in their homes. Mould and dust mites thrive in damp conditions, which can lead to people suffering allergies, asthma and severe respiratory illnesses. There’s no quick fix for tackling moisture. You need to identify where the dampness is coming from and try to stop or minimise it as best you can. Ventilation helps remove moisture and airborne pollutants from the home. Older homes, which are often draughty, usually have fairly good natural ventilation. Newer houses are often fairly airtight, so require more conscientious airing. Air the home once or twice a day. Opening a door or window at both ends of the house creates a cross-draught that pushes air through more effectively. Airing the home out after you’ve turned off the heating can reduce condensation. Use extractor fans in bathrooms. Leave them on for a few minutes after you’ve finished showering or bathing to remove as much steam as possible (if there isn’t one, open the window). Use extractor fans and rangehoods when cooking. Having a window open while cooking can also help. Some rentals have ventilation systems installed. Ask your landlord about how to use it properly – the settings can be adjusted for different seasons and conditions. Your landlord is responsible for maintenance, such as changing air filters. Moisture build-up in the home isn’t just caused by rainy days and leaky roofs – our day-to-day living contributes too. Washing, cooking and even breathing all add moisture to the air. Here are some common sources of moisture in your home. Look at getting a hygrometer. They can be as cheaper as $6 and can measure temperature and relative humidity. Keep rooms ventilated and warm during winter. Install curtains and draw them at night. Leave windows closed on damp days. Always use close-fitting lids on pots when cooking and extractor fans over the cooktop or stove, and in the bathroom (these must be ducted to the outside). Dehumidifiers have often been teamed with unflued LPG heaters. The heaters spew out moisture (and other contaminants) while the dehumidifier mops up the moisture. Don’t use them. Use safer and cheaper-to-run electric heaters. A Showerdome collects condensation from a shower, then sends it down the drain. They’re about $299 (not including installation) and are best fitted by a professional. Your landlord will need to OK this. Use a cupboard heater in problem wardrobes. Don't hang clothes inside to dry and if you have a vented dryer, make sure it vents outside. Close doors when cooking, showering or using the dryer, to limit the spread of moist air. Limit the sources of moisture indoors. Even fish tanks and pot plants can put moisture into the air. Check the ground under your home is dry. Check drainage systems are diverting water away. If it's wet, talk to your landlord about covering the ground with polythene (if feasible), fixing any leaks under the home and upgrading drainage. Check for leaks in the roof or around windows. If there are any, let your landlord know – they’re responsible for home maintenance. Also see our tips on managing mould. Think about where it’s positioned – the more centrally located it is, the more moisture it will collect from the air. Dehumidifiers work best with doors and windows shut. Make sure you’ve dealt with any draughts too. Get the humidity right – aim for relative humidity of between 30% and 50%. 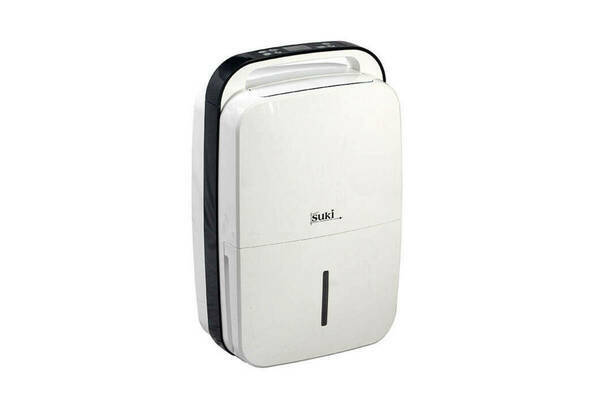 Vacuum first – dehumidifiers can spread dust particles and their filters, if they have one, can get clogged with dust. Dehumidifier manufacturers base their water extraction claims on tests conducted at about 30°C and 80% relative humidity (RH). That’s a valid comparison if you live in the tropics, but in New Zealand, those conditions are nothing like the winter climate in your home. We tested dehumidifiers in conditions ranging from 8°C and 90% RH to 16°C and 65% RH, conditions much more typical of a New Zealand winter. We found actual performance was far lower than claimed. Did you know dehumidifiers heat a room? 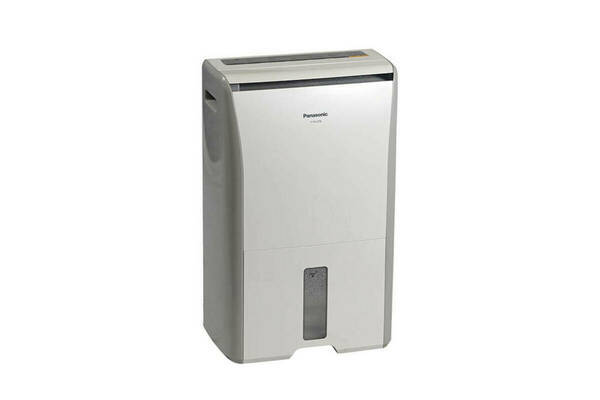 Dehumidifiers are second only to heat pumps in terms of heating efficiency. When water is turned from liquid to vapour, heat has to be added but there’s no temperature rise. This is called the “latent heat of evaporation”. The reverse happens when water vapour condenses to a liquid – the latent heat is released. When a dehumidifier condenses the water vapour in the air back to a liquid for draining, the latent heat in the water vapour is released, helping heat your home. Which dehumidifier should I get? These are the three dehumidifiers that topped our tests. Bottom line: The desiccant technology in the Dimplex GDDEKD9 makes it the best performing dehumidifier that we have tested. The overall score was hurt by the increased running costs but we think the increased costs are not of great concern when you have such an outstanding performer. The heat output is also equivalent to a 1kW heater. Bottom line: The Panasonic F-YCL27N is a very good all-rounder. It’s incredibly efficient, easy to use and performs well for water removal. This model does suffer in lower temperatures so it would be best suited to rooms where you know the temperature won't drop too low. The model is very heavy but didn't prove too hard to move around on its wheels. Bottom line: The Suki WDH1150DBH dehumidifier is a good performer. It performs well at lower temperatures, which bucks the trend of most compressor models. The larger 4.9L tank capacity means fewer trips to empty the water down the drain.